The legs generate the most productive power in weightlifting, and in all athletics, really, over a small range of motion at the knee, hip and ankle joints. There is a lot of power, in other words, packed into a relatively small range of motion, so making the best of each repetition is crucial to leg development, power, strength and speed. We remember watching Vasily Alexiev win the gold medal back in 1972. The guy was a phenomenal lifter. So impressive was this guy and his strength and technique and overall aura as he hoisted ungodly weights, you half expected him to start bleeding out all over the mats, or die of an exploding heart, for the kind of gut-busting, vessel bursting effort he put forth in each clean and jerk and deadlift. Those Russians know what time it is when it comes to physical pain, suffering and brute strength. Now you may not want to become a hairy, ugly Russian anytime soon, but you DO want something Russian lifters have in spades: Amazing legs and the brute strength to accomplish it! Make no mistake, we won’t candy coat it… Building amazing legs takes dedication, intelligence, pain, nosebleeds, headaches, a decent amount of anabolics, and the ability to burst through a wall of overload and overwhelm to get the job done, workout after grueling workout. Puking is just the half of it! Mental focus and due diligence is even more a part. But it’s more than that… It’s about employing all you know into a meaningful routine that neither under trains nor over trains, and always keeps the body straining toward change. 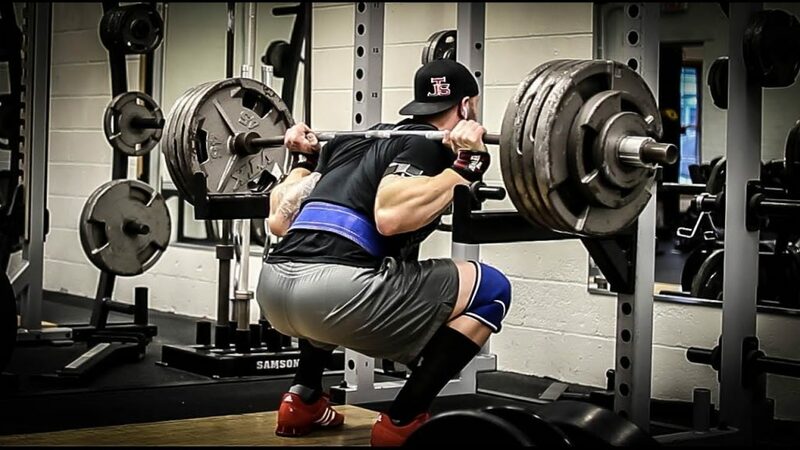 Truth is, the way to make legs grow is to increase the overall 1RM. In this routine, you’re going to be shooting to increase it by 5% by training three times a week for a cycle of 6 weeks, alternating light and heavy training days. Remember, the legs are resilient and can take a brutal beating. Don’t worry about overtraining. In fact, you’re probably among the legions of guys who think that you do. Truth is, you probably haven’t even scratched the surface of overtraining with legs, since most back off long before it ever happens. Natural lifters need to be careful, but can adjust weights to reflect a more conservative approach to training and recovery. You anabolic lifters, however, need so much more punishment than you ever give your muscles. For the following, choose a lift for each of these values – totaling 3 lifts per workout. Squats should be the mainstay of what you choose, but also use plate-loaded leg extensions, hack squat and leg extensions. Note: When you see a number without a x something, it means a 1 rep lift. So 70% 2 = 2 sets of 70% in one rep. The idea of the routine is to build volume while increasing intensity. Intensity that is slowly built up is the most beneficial because it leaves you someplace to go and minimizes injuries. So for those of you not looking for strength gains and purely aesthetics, you’ll need a different routine. Just remember, where there is a gain of strength, via intensity and workload, there is also an appreciable gain in overall mass in that area. Want the mass? Gut out this workout! And keep in mind, it isn’t going to be easy. Performing 5 or 6 sets of 6 reps with 80% of your 1RM is hard. It may be impossible for those of you who have not lifted over a period of years. Adjust accordingly and remember that this is something to work toward. If you reach the mid-point of the total workout, or the third workout day in the week and you cannot maintain those percentage max’s, then you can adjust them accordingly to reflect where you are in relation to what is recommended. If you can’t lift something, all the intensity in the world means nothing. It needs to be lifted in order for your to benefit. Our point? Use your head and common sense to alter the workout if need be. You can also alter these percentages, based on your level of experience and the exercises you have chosen. We wouldn’t advice the same intensity for leg extensions as for squats. But if you can handle the heavy load and all the intensity that goes along with this routine, go for it! Just know that nothing is etched in stone in terms of relativity of weight, people, lifts and experience. Note: Don’t do this routine longer than 6 weeks. And do it only once or twice yearly, as it is highly intense and you don’t want to blow out knees or other joints because of too much repetition. Rest is also crucial here, and you must take as much rest as it takes for you to function in the next movement. This entry was posted in Training and tagged Kettle Bells, Legs, Power, Russian Squat, Strength, Workout Routine. Bookmark the permalink.